"More Intense Than Season 1"
The Walking Dead Season 2 starts right where Season 1 left off. With the destruction of the CDC the group hits the road hoping that there is safe haven, or at least a better place to make camp on the road then there was in the city. While traveling they come across a hotbed of abandon cars, trucks and SUV's all well stocked from the highway. The team decides it’s time to scavenge what they can before continuing, and that’s when the first of two tragedy strike. 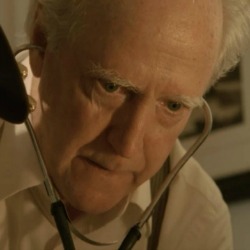 The first leaves one member lost in the woods and the group hunting for them, while the other puts someone close to Rick's heart in critical need of a doctor. These things are only compounded by the timely discovery of some other survivors. The jealous rage that Shane harbors for Rick and the growing desire to see him out of the picture continues to mount, and Ricks wife starts to wonder what’s really going on. While one member fights for their life, and another is lost in the woods with daily tracks out to find them. Tensions mount slowly and the true nature of the group starts to come through. The only bastion of light in the troubling times for the group is the prospect of safe haven where they have stopped. 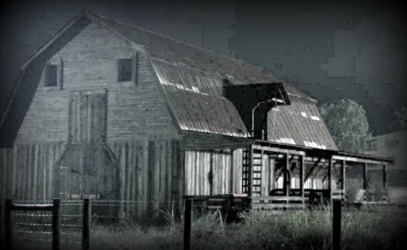 The little slice of heaven that they find is a small farm seemingly untouched by the zombie apocalypse. With plenty of water, and some food the land is a virtual paradise, but even that has its downs. The group and the owner of the land do not see eye to eye on many things, and there is a looming dark presence that can be felt within the borders. Love starts to bloom in the most unlikely of places as well, but like all things in this hellish new world, the lovers have problems from all sides. With a disapproving guardian, and a less than hospitable territory it’s hard to say what can happen with young love. The Walking Dead continues its steam train of plot, in the same riveting fashion that it did with season one. Continuing without missing a beat, the plot only grows more intense. Thankfully the season is not without reprieve though, because you can only hold the tension so high for so long before your audience just gets over whelmed. 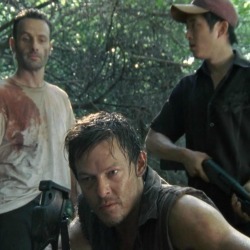 Some of the characters I never thought I would like (Like Daryl) start to make some key turns here, we also gain some new key players and lose some others within this season, making it a must watch if you enjoyed the first season. Without giving away too much, this season is why "The Barn" lives in infamy among the fans of the show, with arguments, and words said that can never be taken back. Along with some huge gains, massive losses and decisions that will change some of the group forever, it is one of the more gut wrenching seasons to date. So steel yourself and Buy: The Walking Dead Season 2 on DvD or pick up Your Copy On Blu-Ray either way, you will never look at some people the same way again.